Since Advanced Vision Care was established in 2003 in Harley Street, London as an alternative to high street chains it has grown its areas of expertise beyond laser surgery into into non laser related fields (Cataracts, Lens Replacement and ICL). Founded by Medical Director and lead surgeon Mr CT Pillai (one of the few refractive surgeons to have fellowships in both a corneal and refractive laser surgery), it offers a range of laser eye surgery treatments shown below. 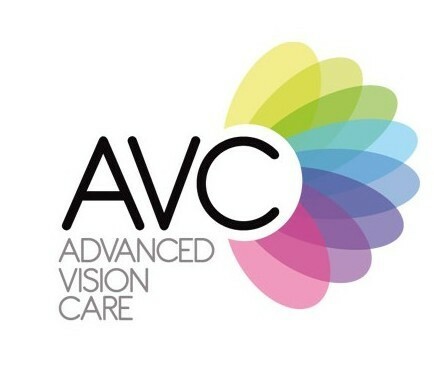 AVC is one of the very few independent clinics in the country that have both a laser theatre and a day care non-laser theatre under one roof which means patients don’t have to visit a secondary site for treatment. They have no affiliation with any manufacturers so they have the pick of the technology on the market. They can treat any prescription range due to the variety of treatments and lenses they have available and often take on patients found unsuitable by other clinics. Advanced Wavefront Intralase LASIK: This corrects long and short sightedness with or without an astigmatism. Advanced Wavefront LASEK: This is an alternative to LASIK for people with thin corneas or active lifestyles. Advanced Wavefront Monovision Laser Surgery: This is for people over 40 with a reading prescription. One eye is corrected for distance whilst the other for near focus, providing the patient with blended visual focal points. Phototherapeutic Keratectomy (PTK) Laser Surgery: This is used for therapeutic reasons to treat long term corneal conditions. Implantable Contact Lens Treatment (EVO Visian ICL): This is for people that are unsuitable for laser eye surgery, like patients with a high or complex prescription, thin corneas or dry eyes. Cataract surgery: This procedure involves the removal of the cloudy lens (cataract) which is replaced with an artificial lens. A Monofocal lens will correct distance only but the Trifocal lens corrects distance, near and intermediate vision simultaneously. Piggy Back Lens Exchange: This is for people that have undergone Monofocal Cataract surgery and want to correct their remaining prescription. Corneal Implants (INTACS and Kerarings): This reshapes the irregular corneas of sufferers of Keratoconus, to make contact lenses more comfortable. Kerasoft Lenses: These are tailor made soft contact lenses designed for high/complex prescriptions and irregular shaped corneas. Regular post-operative checks throughout the year. 24-hour post treatment telephone access to AVC’s team. All post-operative medication is provided a month after surgery. Laser fine tuning (if necessary) is included at no extra cost. YAG laser capsule thickening removal (if necessary) is included at no extra cost. Mr CT Pillai, MD DO, FRCS (Edin), FRCOpth (UK), is the founder and medical director of Advanced Vision Care. Registered with the General Medical Council, a Fellow of the Royal College of Ophthalmologists and the Royal College of Surgeons, Mr Pillai has amassed more than 25 years of experience in refractive surgery. He has performed more than 30,000 laser eye procedures. You can see more information on Mr Pallai on his profile page here. Professor Martin Filipec, originally from the Czech Republic, has 25 years experience in the ophthalmic industry. After studying in France, he qualified as a professor at Harvard and then chose to return to the the Czech Republic to establish the Lexum Eye Clinic which was the country’s first private eye hospital. First professor of ophthalmology at Charles University in Prague, one of Europe’s leading universities. Scientific advisor to leading eye care technology companies Zeiss and Alcon. Director of the International Ocular Inflammation Society. Member of many international ophthalmology associations for research and development. Author of over 350 lecturers, 51 scientific publications and several textbooks. Registered with the General Medical Council. Dr Goran Helgason is internationally recognised as a leading expert in Implantable Contact Lens surgery and technology with over over 25 years of experience. His research into ICL treatment and multifocal Lens Replacement and cataract surgery means he is established as a leading authority on those procedures and travels extensively as a course instructor in this field. Medical Director of Capio Medocular, Sweden’s major eye care clinic (he does this in conjunction with his work at AVC). One of the first eye surgeons in the world to perform STAAR Surgical ICL treatment. Medical advisor to STAAR Surgical and Alcon Laboratories. Pioneer in ICL research and a leading international trainer of other surgeons. Author of numerous peer-reviewed papers. Presented his work at the most of the top ophthalmic conferences internationally. Intralase FS Laser: Intralase is a femtosecond laser that uses tiny, rapid pulses of harmless light to create a corneal flap, instead of using a blade. This is used for LASIK eye surgery. Bausch and Lomb Technolas Teneo 317 M2 Excimer Laser: At the time of writing it is the fastest treating excimer laser in the world with treatment taking between 3 to 5 seconds, minimising patient’s discomfort, and delivers the best outcomes by providing optical sculpting which precisely evaporates tissue from the collagen layer of the cornea. Advanced Wavefront Technology: This is used to create a unique personalised treatment plan and is included as a standard for all laser treatments at no extra cost. ACE Eye Tracking System: This is a 6 dimensional eye tracker which guides the laser during the treatment by tracking and mirroring the movement of the eye. The Verion Image Guided system: This is used during the consultation to devise a personalised treatment plan and is used throughout non laser procedures allowing the surgeon to see incisions and alignments in real time. Centurion Vision System: At the time of writing this is the newest phacoemulsification device available. It is used to break up and remove the natural lens. The Lux-OR Ophthalmic Microscope: This provides superior visualisation throughout the procedure providing excellent visual detail and superior visualisation of the retina. AVC offer the following finance plans via Hitachi finance. Note: Deposits are required for when financing is used. The prices above are correct as of April 2019. The interest monthly payments bearing interest (currently 9.9%) can be paid off early with any financial penalties. They may also offer lower monthly finance rates if larger deposits are paid. They provide a comprehensive aftercare package available for 12 months which covers free retreatments, fine tuning (all treatments) or YAG laser treatments (for cataracts and lens replacement surgery). Anything that could mean that fine tuning, retreatment and YAG etc are needed tend to be observed 3 to 6 months after surgery or earlier if required. All patients have had the benefit of speaking to AVCs lead surgeon, Mr Pillai, at their consultation. After treatment, all patients have access to the largest independent optometrist network in the country enabling patients to have post-operative checks closer to home.